It’s officially Fall this week! One of my FAVORITE seasons! I’ve put together a little round-up of some inspiring Fall decor ideas that will surely put you in the mood for this season! 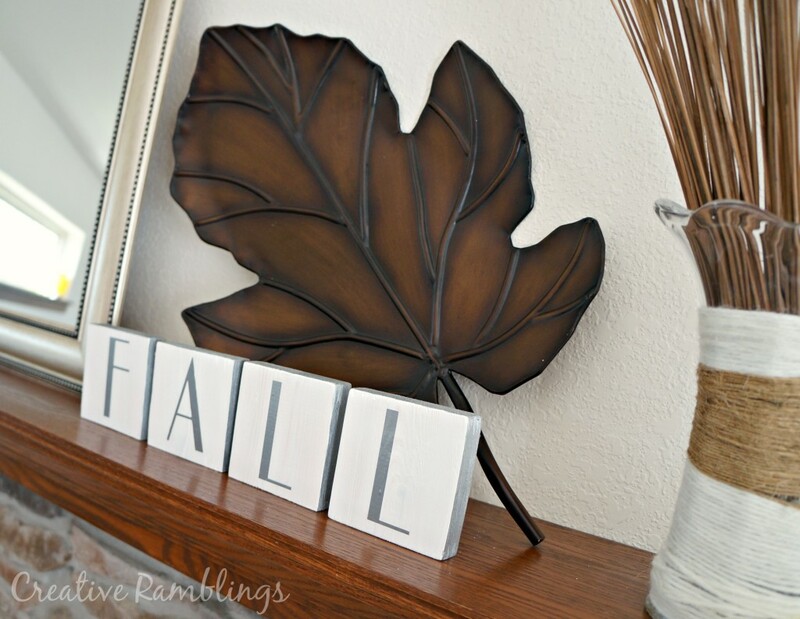 Ann’s Entitled Life assembled this Easy Fall Decor Idea. I LOVE the colors of eggplant, orange and green! 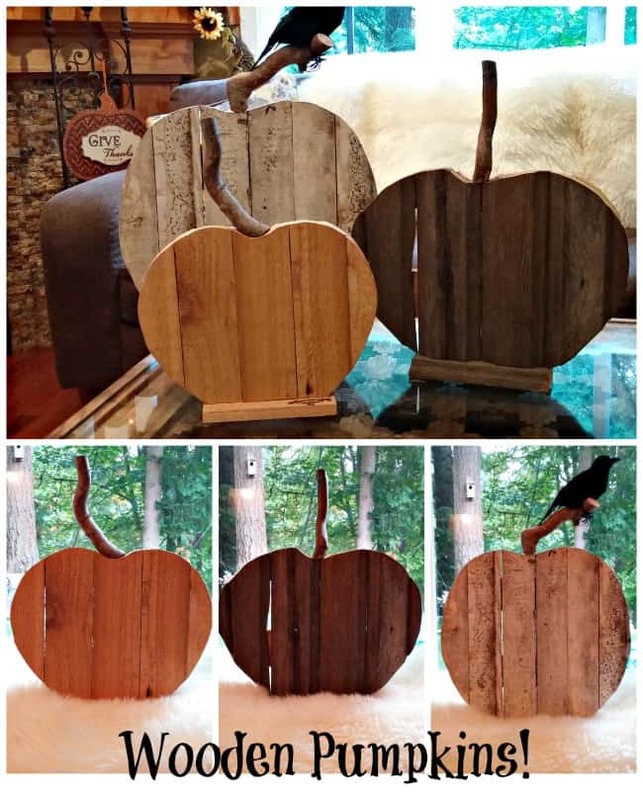 I found these wooden pumpkins on Thrifty Northwest Mom (Rustic Fall Pumpkin Decor Using Reclaimed Wood!) The simplicity of these would really fit into any decor you already have in your home. 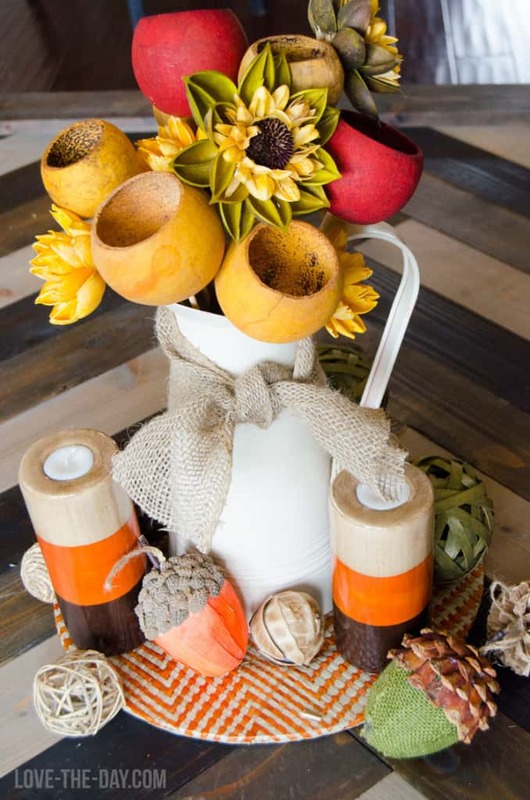 A Mitten Full of Savings’ Fall Centerpiece Idea utilizes fresh apples, and looks relatively easy to put together. How festive would this look on any table in your home? 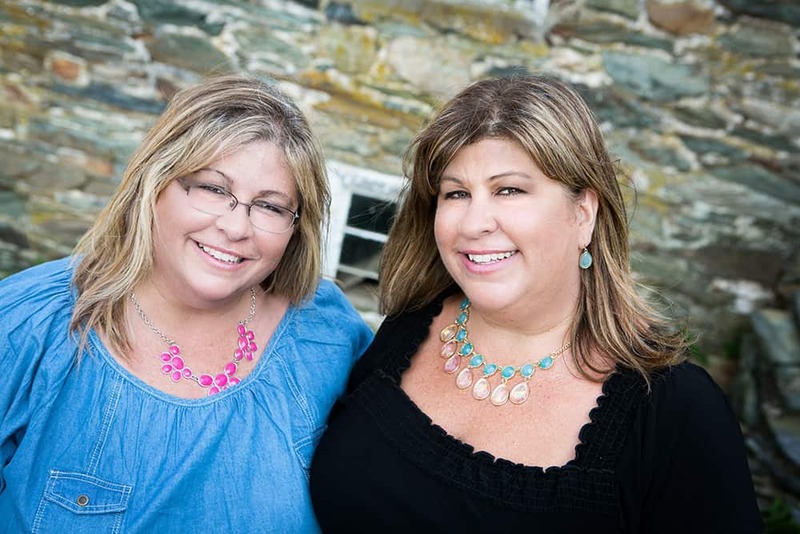 One site that I stumbled upon is Casa Watkins. I absolutely love this site, and have started following her on Instagram so I don’t miss any of her beautiful decor ideas! Her tablescape, Fall-ing in love with Non traditional Fall Colors, is just gorgeous! 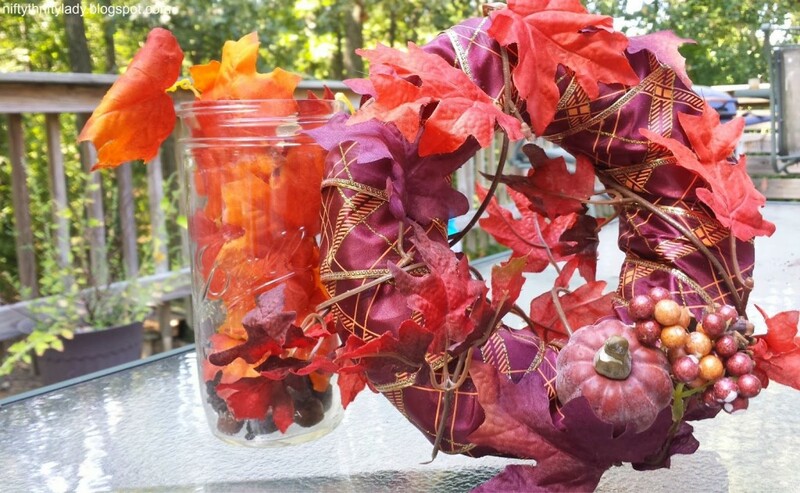 The Nifty Thrifty Lady teaches you how to create a Fall Wreath and Vase for $5.00! Ya can’t beat that! 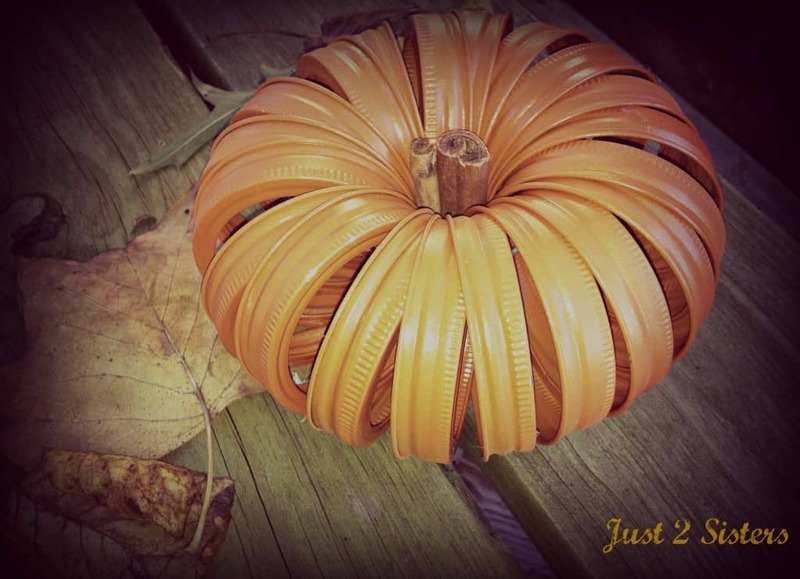 Pam and I luvs us some Mason Jars, so when I found Just 2 Sisters’ #DIY Mason Jar Ring Crafts – Fall Pumpkin Centerpiece, I just had to include it in this round-up. I adore the simplicity of the creation! Crafts ‘n Coffee features these Easy, No-Sew Burlap Pumpkins For Your Fall Decorating. Unique, cute AND classy? Count me in! 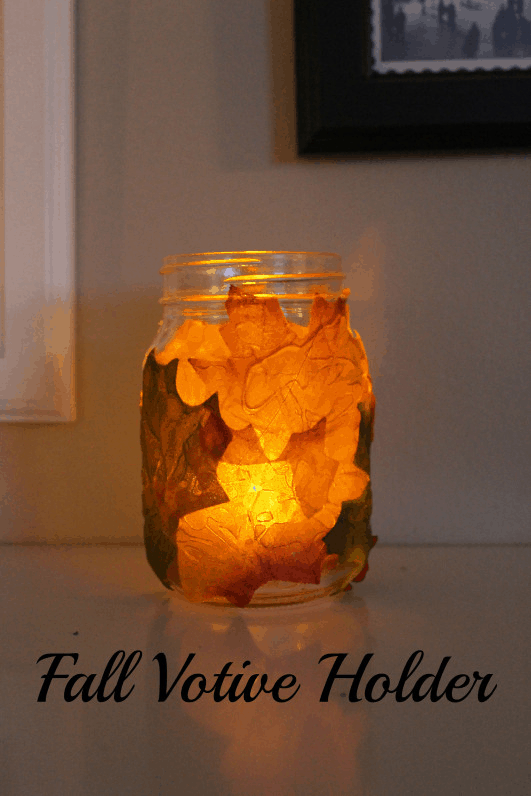 Simplee Thrifty’s Fall Foliage Votive Holder is SO cozy and useful! You could make several of these and place them in different areas of your home! 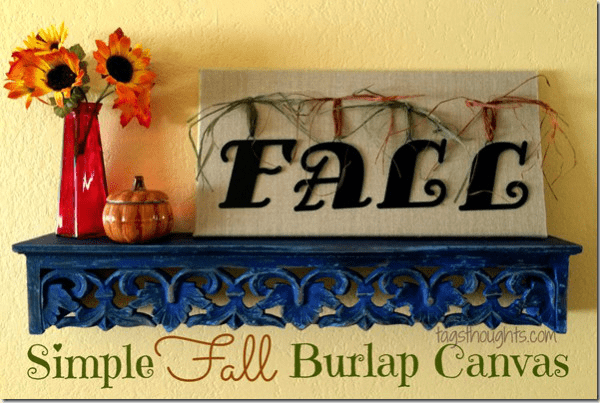 Trish Sutton will show you how to create this Simple Fall Burlap Canvas. Once Fall is over, this could be easily stored and brought out again for years to come. 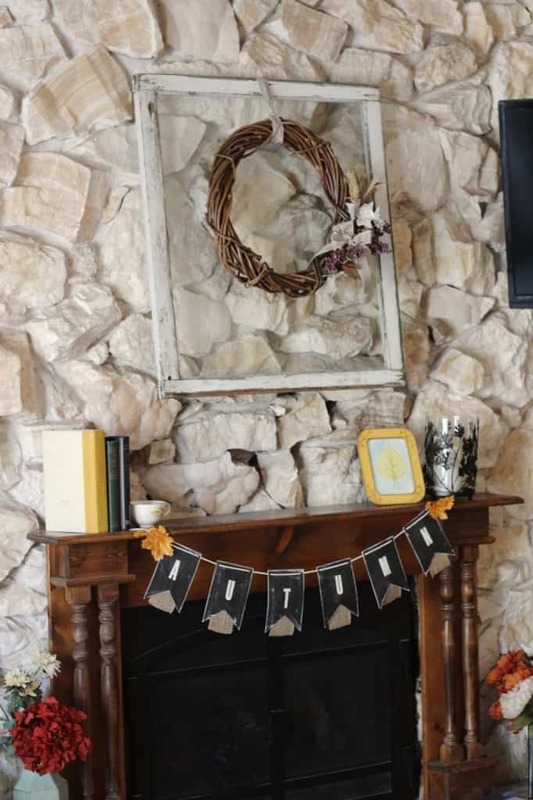 Mabey She Made It has created Fall Mantel 2 Ways. I’m so inspired by the color combination, the simplicity and the warmth of this decor. Creative Ramblings demonstrates how to make these White and Silver Fall Wood Blocks. This is something that you could SO customize and go crazy with the word combinations! 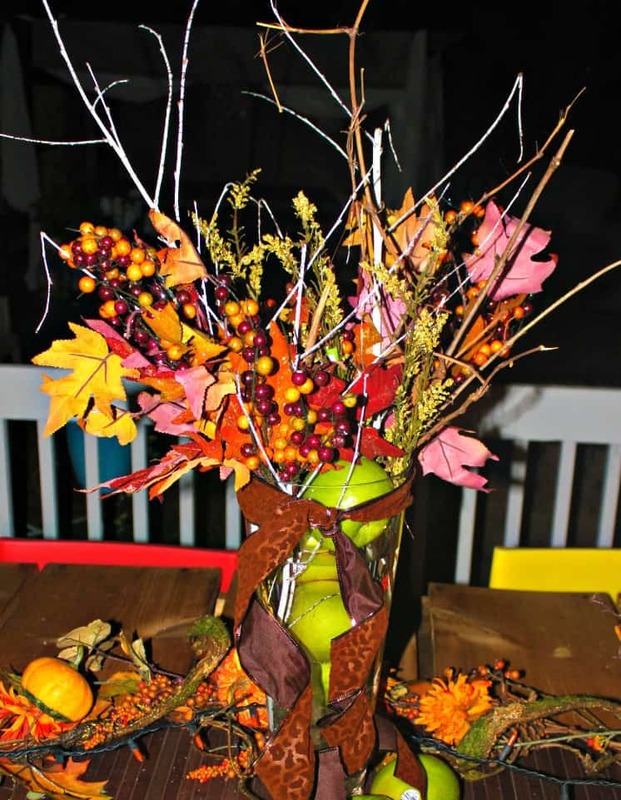 And, last but DEFINITELY not least – Love The Day’s Fall Centerpiece is just absolutely adorable! It’s so festive and inviting! I just love it! So, it’s time to put away the Spring/Summer accents in your home and get out your Fall colors! 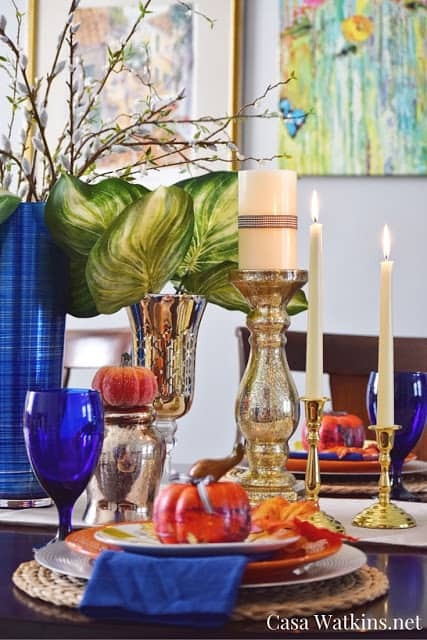 I hope these examples of Fall decor inspire YOU to get in the spirit of this season! It won’t be long before the Christmas season is upon us, so savor Fall while you can! 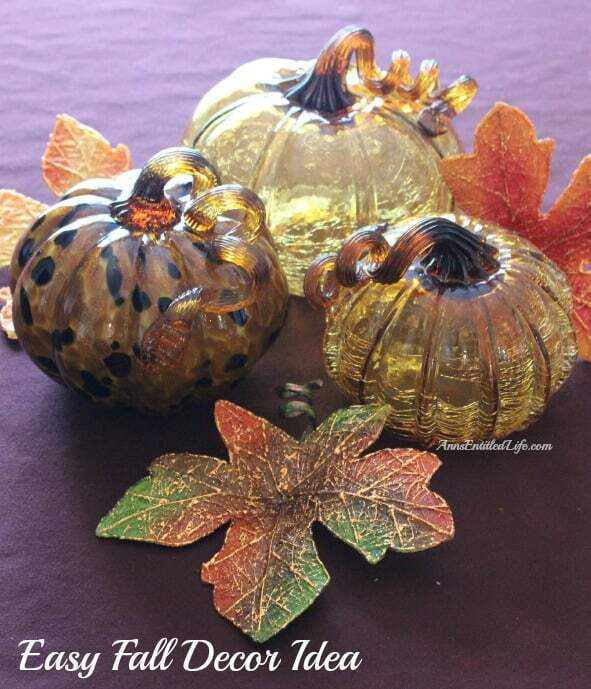 What special things do YOU do to bring Fall into your home? 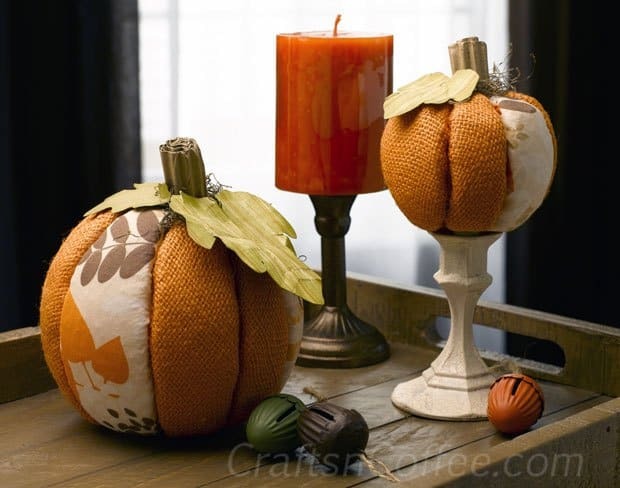 Hi Terri, Thank you for including the No-Sew Burlap Pumpkins from CraftsnCoffee.com. Fall is my favorite season — so many pretty crafts to DIY! Thanks for the many pretty ideas here today.